Enterprise IT organizations are facing a perfect storm of new working styles, demanding users, device diversity and an increasingly heterogeneous management environment. Together, these elements mean only one thing: complexity and increasing costs. 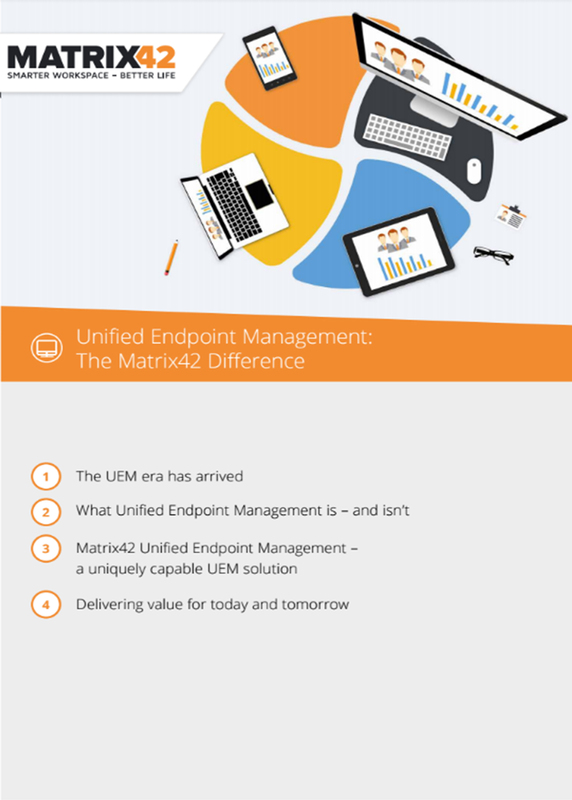 Matrix42 Unified Endpoint Management (UEM) gives IT leaders the power to conquer it. UEM is the logical response to a series of irresis- tible trends that are redefining how corporate IT departments cater to their customers. This is precisely the reason why Matrix42’s approach to UEM is different - because it is based on the user, whether employee of administrator, and not the device. Find out more in this white paper!